Plenty has changed for Mr. Sipp since the release of The Mississippi Blues Child, his debut on the legendary Malaco imprint, which captured the Blues Music Award for best release by a new artist. World tours and continuing acclaim followed. And if you caught the eight-episode CMT Network Sun Records docudrama earlier this year, that was him in heavy makeup and using his birth name, Castro Coleman, in the role of young B.B. King. 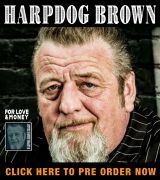 Since winning the International Blues Challenge in 2004, he’s become a fan favorite around the globe, and this CD picks up where the previous release left off, albeit with a much harder edge. Now in his early 40s, the McComb, Miss., native turned his back on 20-year career in gospel a few years ago after appearing on several Grammy-nominated recordings, fully aware that many folks in that genre still carry their old beliefs forward and consider blues to be the devil’s music and anyone who plays it a pariah. A man of deep faith and married father of four who led the gospel brunch on the Legendary Rhythm & Blues Cruise a couple of years ago, he’s pursued the blues relentlessly despite the slings and arrows coming in his direction from former friends. 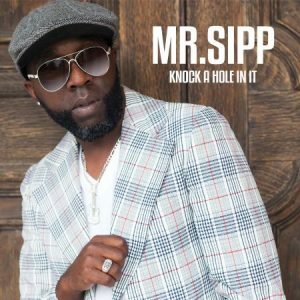 Now in the final stages of opening Sipp’s Place, a juke joint in Magnolia, a short drive from the Mississippi-Louisiana border, he channeled his pain and detailed his background in the autobiographical first cut of the previous album before proceeding to deliver a smoking set of soul-blues, and follows the same format on Knock A Hole In It, the title of which comes from the catch phrase he uses frequently on stage before launching into a searing guitar solo. A powerful guitarist, Sipp also plays some strings, percussion and bass on this one, sharing those duties with Jeffrey Flanagan, who adds backing vocals. They’re joined by Carrol McLaughlin on keys and strings, Stanley Dixon and Murph Calcedo on drums and The Jackson Horns: Kimble Funchess (trumpet), Jessie Primer III (tenor sax) and Robert Lamkin (trombone). “Bad Feeling” follows, but the message is completely different. The first in a run of love-related songs, this one’s a soul-blues, and the singer’s got a strong suspicion that his woman’s got another man. The perils faced by a touring musician surface in “Stalking Me,” an autobiographical blues that details meeting a woman at a show and subsequently relentlessly being pursued by her through emails, unable to get her to understand he’s not interested. “Sea Of Love” — not the Phil Phillips ’50s classic — is up next. It’s a sweet ballad, and Sipp is so overwhelmed by the feeling that he feels like he’s about to drown. It’s a gift he has to share with the world, and he can’t hold back tears while doing so. In contrast, “Gotta Let Her Go” is a bluesy number with a fiery guitar solo in which the lady tells the singer she loves her when they’re home, then tells her girlfriends that the romance is kaput, while “Going Down,” a blues-rocker, reflects after the act that it’s probably better to keep the woman you’ve got. “Baby You’re Mine,” a tender blues ballad, carries the message forward after the separation’s already taken place. Sipp sings praise for the “Juke Joint” next before the slow blues burner “Strings Attached” delivers a stern warning to a lover that the relationship is falling apart. The action picks up again for the straight-ahead soul-blues, “Turn Up,” which advises telling the deejay to play your favorite song and get out on the floor to dance your troubles away. “Love Don’t Live Here Anymore” — an original ballad, not the Rose Royce number — and “Love Yourself,” a soul-blues tune directed to good ladies who’ve been mistreated by bad men, follow before a cover of the Jimi Hendrix classic “Little Wing,” which is infused with a version of “The Star Spangled Banner,” bring the action to a close. 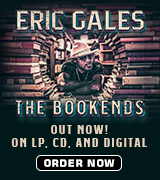 Available through most major retailers, Knock A Hole In It is a winner for anyone who likes his blues and soul with a message.